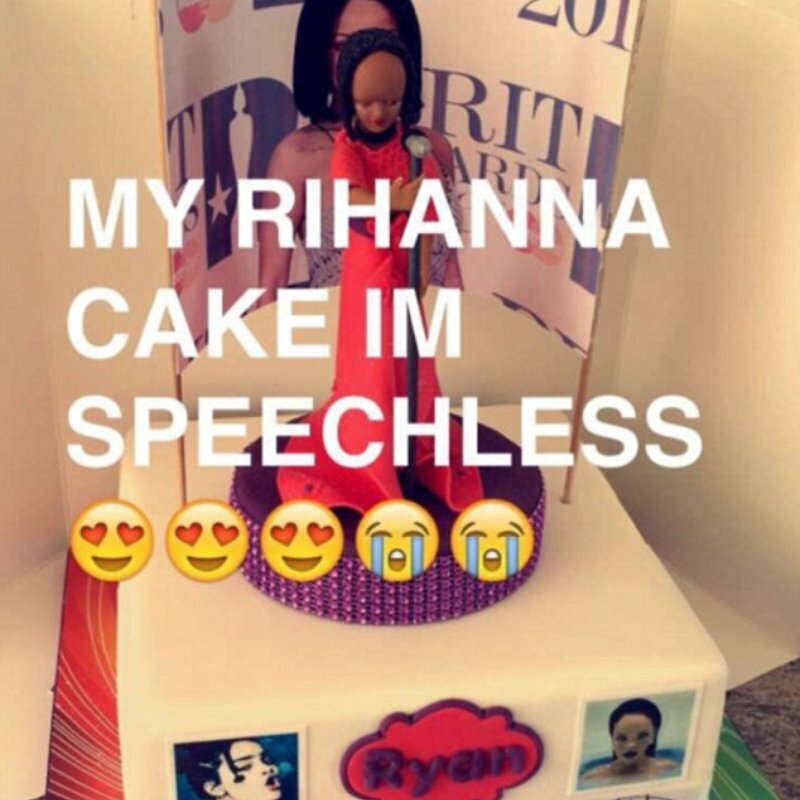 One loyal RiRi fan celebrated their birthday with a personalised cake... The thing is, the WHOLE of Twitter is still trying to recover from the meltdown it was sent in to. How can you not be a massive fan of Rihanna? And if you get the chance to have a personalised RiRi cake, you take it. The thing is... This looks NOTHING like Rihanna, does it?! > Heard The Latest On Rihanna And Drake? It Sure LOOKS Like They're Dating Again! A massively devoted Rihanna fan sent a Snapchat of her 3D 'We Found Love' singer cake, and since then, it has been shared thousands and thousands of times. Remind us not to order from this bakery anytime soon, giving that they've planted a fivehead and the world's worst receding hairline on the Barbadian singer. And - thank you, Internet - Twitter blew up. BRB... We're just going to read the gazillion incredible responses to this.